Bibliography: Jules Lieure 632 i; Édouard Meaume 213. 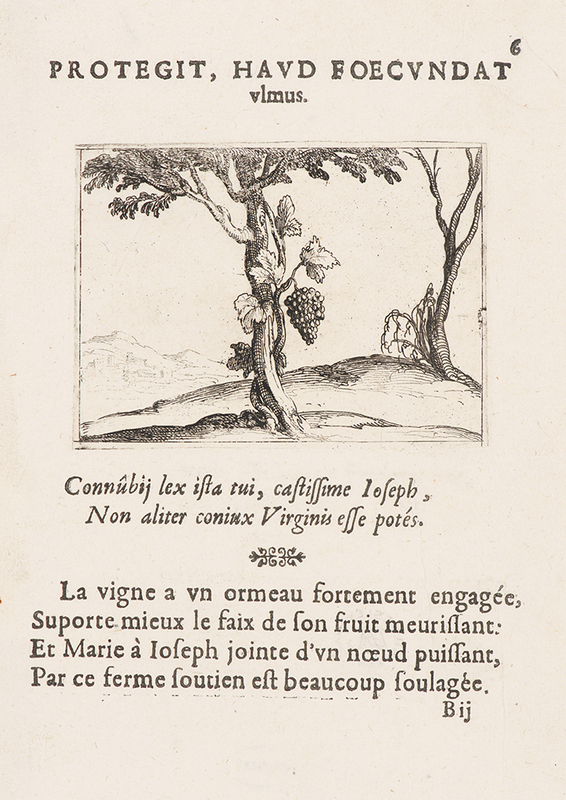 Le Cep de Vigne, . From The Life of the Virgin in Emblems (La vie de la Mère de Dieu représentée par des emblèmes). Etching. First of two states. DAC accession number 1964.6.1.7. Friends of the Davison Art Center funds, 1964. Open Access Image from the Davison Art Center, Wesleyan University (photo: M. Johnston). http://dac-collection.wesleyan.edu/obj3326 is a persistent link to this page with no user-session information.